Watch jaws drop and eyes pop when you extend your hand wearing MESMERIZED. 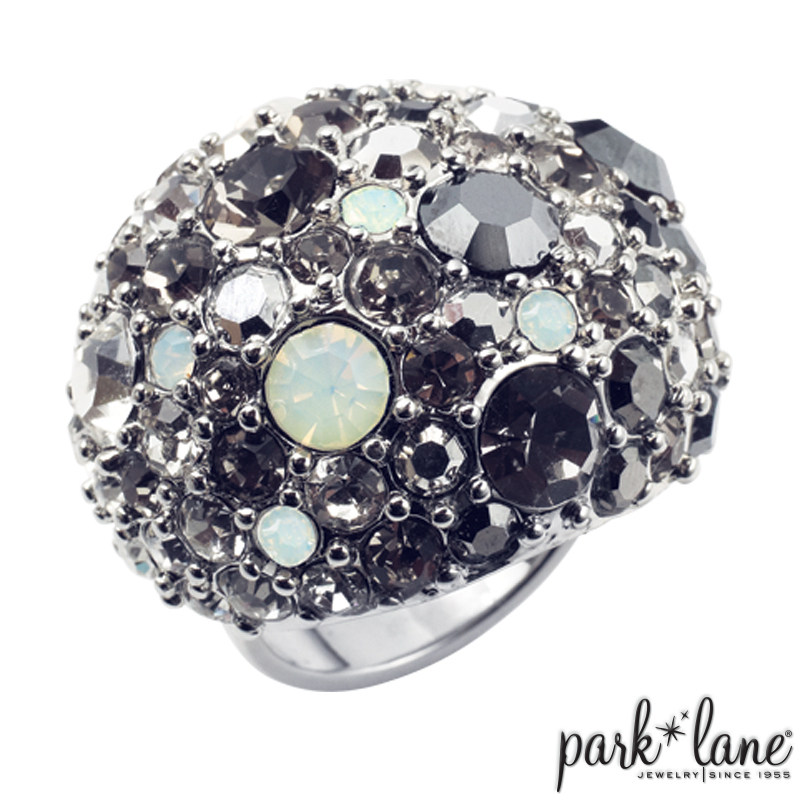 This outrageously stunning dome ring is completely embellished with sparkling crystals: clear, jet, hematite, and aurora borealis opal. Get MESMERIZED! Mesmerized ring flatters most any clear, hematite or jet crystal items. Stunning worn with: Superb, Going Wild, Ravishing, Wild Stripes, Big Love, Crystelle, Infinity bracelet.